Tai Chi Caledonia is again delighted to host the 2nd European Baguazhang Forum, which will take place in the heart of Scotland at the beautiful grounds of the University of Stirling, running from 14th – 21st July 2017. The aim of this first Baguazhang Forum is to present a wide range of different styles of Baguazhang, connect European practitioners and to encourage a mutual exchange to practice together to support the growth and diffusion of the beautiful art of the circle in Europe and beyond. 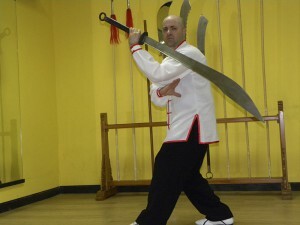 The instructors include five highly experienced Italian teachers where Baguazhang is now undergoing resurgence, thanks to the efforts of FIWUK (Italian sport’s promotion entity of the Olympic Committee). Baguazhang is acknowledged by both national and European Parliaments. The Forum welcomes all levels of participants, from beginner to adept, at its early morning workshops (from 7.30 to 9.30 Sunday to Thursday) to engender a spirit of sharing and participation to enable the art to grow and develop, so it may spread and flourish. Everyone is welcome to participate in this unique event!